Flax (Linum usitatissimum) is a bast plant. The term bast refers to the soft fibers produced in the plant stems as part of the phloem tissue. Spun flax fiber, or fabric made from this fiber, is called linen, a natural fabric used for more than 5000 years, longer than cotton or wool. 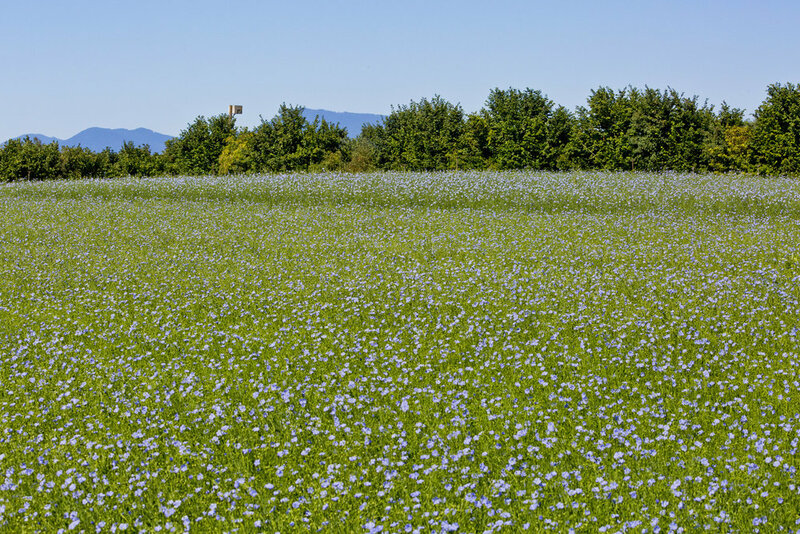 Oregon has a rich history of flax production. In 1942 Oregon harvested 18,000 acres and produced 37,000 short tons of flax in 14 regional processing mills. 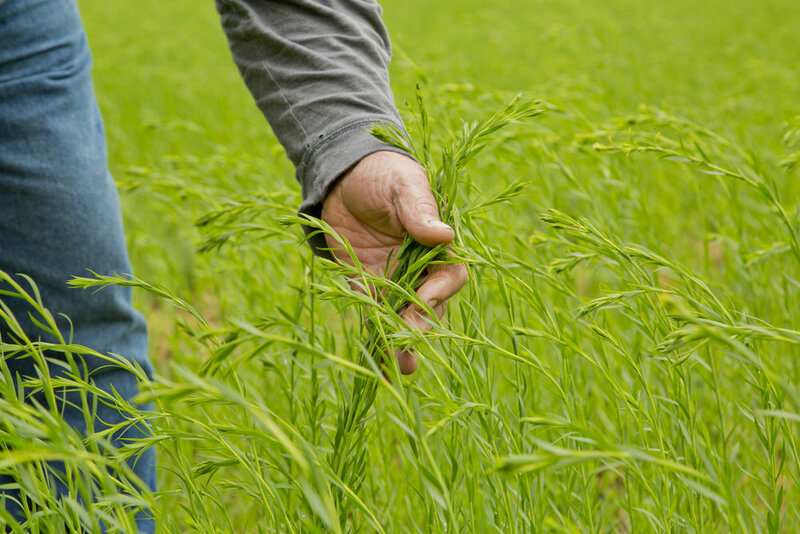 Good soil and a cool, moist climate determined the quality and yield for flax and Oregon was leading the way around the world. Post WWII, Oregon was struggling to keep fiber flax profitable, as Europe’s flax industry was rebuilt. In 1951, a mere 2000 acres of flax was harvested and 3,400 short tons were produced. 10 out of 14 processing facilities had shut their doors. The development of synthetic fibers, exploited labor forces in the South growing cotton, and the lack of a consistent grading system, all contributed to the decline of flax production. Once it’s main customer, the US military, was not engaged in war, the push for fiber independence was lost. Today, there are no bast fiber processing facilities left in the Pacific Northwest. 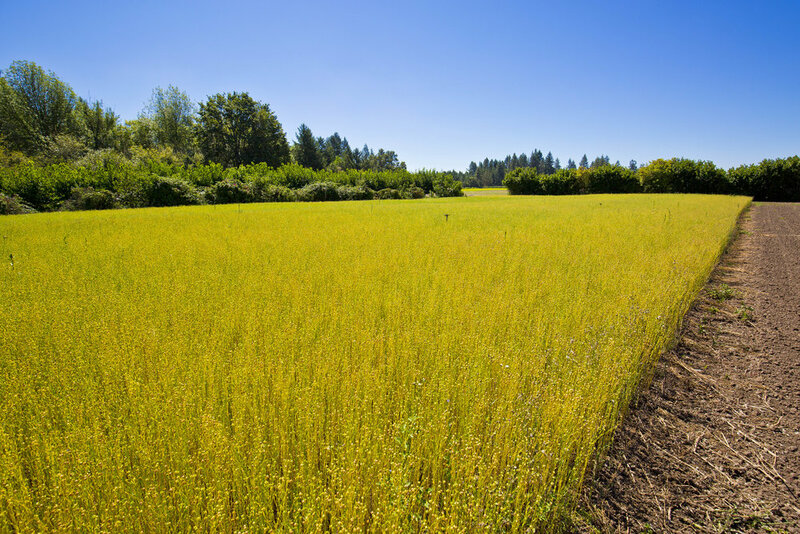 Our community desires and supports the revitalization of a regional fiber flax economy, while honoring quality flax and linen production, and it's importance as part of the heritage of the Willamette Valley. Thanks to a generous 2017 & 2019 Environmental Grant from Patagonia, our community has been able to participate in a broader revitalization of flax and linen in the Pacific Northwest.